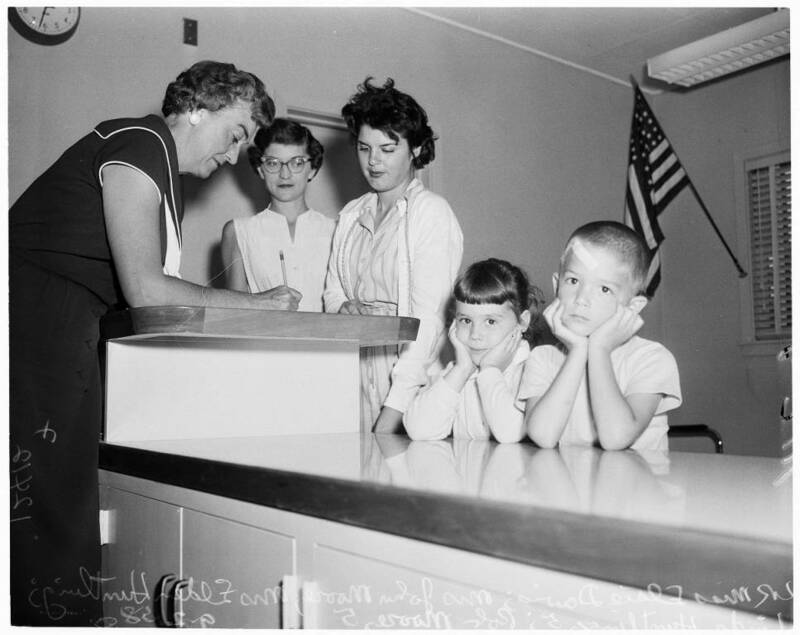 On September 2, 1958, Miss Elsie Davis, Principal, Kittridge St. Elementary School in Van Nuys, CA registers children at her school. Linda Huntling and Bob Moore, 5 years old, stand glumly as their mothers oversee the process. 59 years ago, there were children with names like Linda and Bob, as old fashioned sounding now as Bertha, Alvira, Sylvester and Abraham were to 1959 ears.